Planted by members in 2016 to recognise 'Purple 4 Polio'. The corms flower again in 2019. 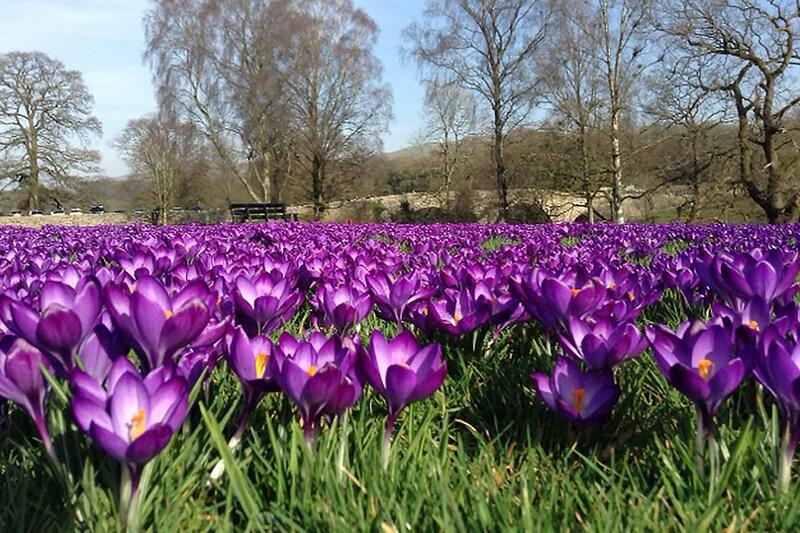 The annual flowering of the crocus corms at Devils Bridge Kirkby Lonsdale improves every year. They are in full bloom now providing a stunning display in this beautiful sunny weather we are enjoying at present. They are well worth a trip to see.